Contributors are your participants. If there is nothing to contribute, you have no participants. If you have no participants, you barely even have a project, let alone co-development! For FLOSS projects, change has an incentive beyond improving the software. Readability is the key to creating code that others will use. Because in the end? We can scale silicon, but carbon? People are much harder to scale. There was not much wrong with the old phone apart from battery problem. However there was one thing which made me buy new phone earlier. Earlier last month Nokia announced at MWC its deal with MSFT, and the trojan horse that Elop proved himself. I loved Nokia and was waiting for a long time for the N9 with Meego to come to market. However this announcement quashed all my hopes. Hence i bought a Nokia phone while it was still available w/o Windows OS. 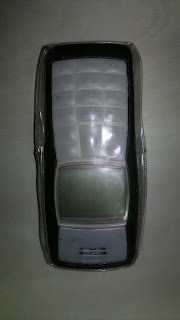 And the best Nokia phone in market at the time in India was the Nokia N8. So this is my new phone, a silver Nokia N8. Many people have asked my why Nokia instead of Android. Well it has really awesome hardware, even if the software Symbian^3 is not as snappy and does not have a million stupid apps in the Ovi store. 12 MPx camera with carl-zeiss lenses and xenon flash: I can assure you it can take really awesome pics and i know mega-pixels are not everything in photography. It has a really large sensor for a camera phone. Of course it cannot replace a dedicated DSLR camera (i don't have one), but is handy and good as my primary camera. FM Transmitter: Yes you can start your own radio station upto a few meters. Not that i have any idea to use it, but still its a cool technology. USB on the go: I can connect usb storage drives (pen drives and external hard disk drives directly to my mobile). USB keyboard and mouse can also be connected to the mobile.A mouse cursor moving in the mobile looks really cool. Proper wireless and proxy support: My friend's android cannot connect to ad-hoc wireless networks and also does not support proxy on wlan, so the he needs to be connected to gprs. I do not want google to know "ALL" about me. One con of this mobile is that development on symbian has stopped, and linux support for symbian development is abysmal, and there's no FOSS compiler on linux to compile to symbain, and nokia remote compiler does not support proxy.